Description: When seventeen-year-old Rowan Chase finds a skeleton on her family’s property, she has no idea that investigating the brutal century-old murder will lead to a summer of painful discoveries about the past, the present, and herself. Sabrina: Hello Jennifer, thank you so much for taking time out of your schedule to sit down with me today and join us for an interview. Jennifer: I’m very happy to be here. Thanks for inviting me! Sabrina: Dreamland Burning focuses on the build-up to the Tulsa Race Riot. How had you first heard about this massacre and what sort of research did you have to do in order to write this book? 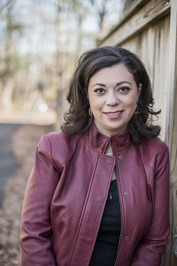 Jennifer: I’m not sure exactly when I first heard about the Tulsa race riot (which many people prefer to call the Tulsa race massacre), though it was definitely after I moved to town sixteen years ago. What I do know for certain is that I never really started to learn about it until I visited the Greenwood Cultural Center in 2010 with a group of seventh and eighth graders. That field trip was the start of five years of research that culminated in the novel. I utilized original documents stored in the Tulsa race riot archive at the University of Tulsa’s Special Collections, read every book I could find on the subject, and did lots of online research through the Smithsonian, the Tulsa City-County Library, the FBI, the National Museum of the American Indian, and the Library of Congress. I also hunted down recordings and transcripts of oral histories given by riot survivors, and consulted local experts about the events of 1921, about Native American history in Tulsa, about forensic anthropology, and about firearms. Sabrina: This story is told in a duel POV, one for the present and one for the past. Was there a certain approach you took while writing this novel? Did you have the past or present written first and then you’d write the other half, or did you go chapter by chapter jumping back and forth? Jennifer: Because Will and Rowan’s chapters were so intricately linked, I had to jump back and forth as I wrote, alternating a Rowan chapter with a Will chapter. This was particularly important since I had to spool out clues about the body’s identity in both characters’ sections without giving too much away. Sabrina: Dreamland Burning is written in two parts; do you feel it was essential for the reader to understand why you chose to divide the book up this way? Jennifer: I think that authors have to let their stories go out into the world with no expectations as to how individual readers will respond. That said, I do hope readers come away from the Dreamland Burning appreciating that while a hundred years may sound like a long time, it’s really just a blink. Sabrina: Addie never forgives William for what he had done. Was this a crucial point in William’s character development to hit a point of reality that actions do have consequences and not everything can be forgiven? Jennifer: Addie never forgave herself, either. But she was more cognizant than Will of the effects her actions had on others. Will’s apology and rather shallow regret were more selfish than sincere at that point. I think Addie helped him see things a little more clearly. Sabrina: Do you believe you left enough notes from start to finish to allow for a reader to figure out who’s body it was? Or do you think you kept readers on their toes constantly guessing? Jennifer: I hope I kept people guessing, but readers will have to judge for themselves. For the record, though, I don’t count lucky guesses or “Ooh, I really hope so-and-so ends up dead” as figuring the mystery out! 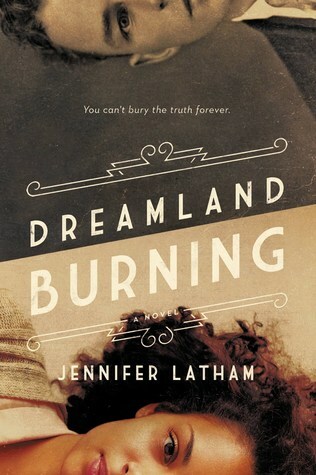 Dreamland Burning portrayed a duel POV on the events of the Tulsa Race Massacre. It excited both present and past racism of society. Letham not only created a mystery full of suspense but she also outlined growing concerns. She kept reader's on her toes as they read trying to source out who the body was in the opening chapters. With offering the duel POV, one from the past and one from the present, it allowed for the story to flow nicely. It had some slow chapters, but that was easily solved by reading a fast pace chapter right after. It also offered the natural flow of clues to be placed throughout the story without any obvious hints. The characters themselves offered and helped the story along to create an interesting piece to read. Each character played role both in the present and past within the story. As well none of the characters felt like they were just written as filler. Overall Dreamland Burning, was an excellent read that allowed readers to get in touch with concerns in today's current society. I highly recommend this book to those looking for a read that informs but at the same time can be enjoyed.